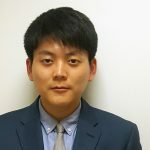 Kangkyu (David) Lee is a Program Assistant for the Education program at Sasakawa USA and the Senior Editor of the Georgetown Journal of Asian Affairs. 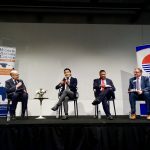 Prior to joining Sasakawa USA, David worked as a research assistant at the East-West Center where he wrote and published for the Asia Matters for America initiative and the Asia-Pacific Bulletin. David graduated from Georgetown University with a Master of Arts in Asian Studies and a certificate in Diplomatic Studies from the School of Foreign Service. As a Korean, I thought I had a grasp of the etiquette and norms of Japanese culture before traveling to Japan. However, my understanding and appreciation of these conventions were reinvigorated through an experience I had traveling through Hokkaido: I faced a minor crisis that only could have been resolved with the sedulous aid of a native. 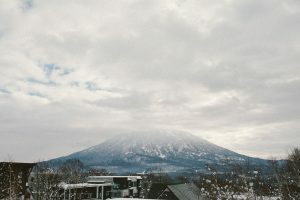 After meandering through Otaru, I journeyed to the resort town Niseko. I returned from skiing around 7 pm to a small, economical lodging, your quintessential cabin in the woods, that was a good 22 km away from the actual ski resort. The reservation included a shuttle service which took me to the lodging. Once there, I turned my thoughts to planning for my next destination: Noboribetsu, famous for its hot springs. I consider myself the type of individual to plan out the details of a trip far in advance, only to never look at these plans again until the actual time of travel. I opened said plans for the Niseko-Noboribetsu leg and found myself staring blankly at an itinerary that made absolutely no sense. The journey was to take three-fourths a day and would set me back a sizable amount of yen. Looking at the printed map afresh, Niseko was a good distance away from Noboribetsu – what was I possibly thinking, planning a next day direct trip? Gawking in disbelief, I input the same destinations into my smartphone, hoping there was some path to redemption – there was no such providence. Panicking, I hurriedly rushed to the lodging master’s front desk, hoping to discover a solution or alternative path. Whatever quality assurance I had conducted a month in advance had clearly failed spectacularly. Sputtering in rushed Japanese, I explained my situation to the lodge master, whom I will nickname ‘JS’ for Japanese Samaritan. He stared at me, his eyes widening in terror as the reality of my desperation reached his ears. Without asking any questions, JS immediately began scrawling on paper, muttering under his breath as I continued stammering like a lost child. JS and I spent a good two hours poring over the details and writing and re-writing possible routes, with JS utilizing a sundry of local travel magazines, phonebooks, and personal contacts, while I searched SoftBank’s 3G network (they overcharged me after this grand ordeal, but bless them anyway). Our efforts brought out three possible solutions. The first option that JS suggested was a car service which would send a driver from Sapporo to pick me up, and then drive to Noboribetsu. This was the most efficient, but predictably cost an ungodly amount. The second was to ask other customers staying at the lodge to carpool to Noboribetsu. JS explained that due to the remoteness of the location, customers staying here tended to have cars. I, however, couldn’t stomach the notion of waking up other guests at 10 pm and gambling on the chance that said guests happened to also be headed to Noboribetsu next morning. Imparting the final option, JS leaned in close and whispered he could pull some strings to have a rent car brought over. My blood froze. It was 100% illegal for me to drive in Japan and I assumed my American license didn’t change much on that front. Nor did I relish the thought of driving in snowy conditions via ad hoc directions in a foreign country. JS and I brainstormed until we reached mental fatigue. At this point, I thanked JS for all his help. I intended to wake up early in the morning and ask other guests as they walked out for carpooling opportunities. If none were able, I would call in a driver. With that, we gave each other exhausted smiles and I turned in for the night. The next day, I woke up around 6 am, mentally preparing myself to impose upon guests making their way out. As I made my way downstairs, however, JS suddenly rushed up to me. Smiling wildly, he told me that he found someone who would help. Apparently, he called a family friend willing to drive me to a train station that was connected to Noboribestsu by circling the edge of Uchiura Bay – he was on his way as we spoke. Flabbergasted and briefly nonplussed, I thanked him effusively and bowed repeatedly before he told me to get ready and check out. Everything afterwards was a blur. Mere moments later, I was on my way, crying farewell and expressing gratitude to JS over the phone. Time and time again, depictions and anecdotes of the Good Samaritan Japanese and their selflessness and humility pop up, whether it be news stories of Japanese cleaning up stadiums at the 2014 Brazilian World Cup or travel blogs in the New York Times praising Japanese decorum. My tale was a case study of what happens when an ill-prepared foreign traveler embarks on a reckless journey. I was lucky to meet a paragon of these Japanese virtues – an individual who had the genuine kindness to go well beyond the call of duty and whose friend also happened to be willing to wake up early and drive a stranger many kilometers. JS’ act of altruism has permanently inspired me to emulate the Japanese model of propriety. Though I will never know how hard they worked past midnight to secure my safe passage, I am more than happy to join the chorus of people extolling Japanese courteousness. True Stories from Japan is an occasional blog on the Sasakawa USA website that features reflective essays about travels to and from Japan. Click here for details on how to submit an article for consideration.